1. Attraction – The various forms of attraction. Note that physical attraction changes from a physical aspect to a non-physical aspect with time. This leads us to see something more valuable in one another. 2. Communication Exchange – Tel numbers etc. Experiences, Stories, secrets etc. Note that lovers don’t usually listen to the words but to the whole story. They feel very comfortable with one another. 3. Exchange Of Gifts – Heartfelt, other person centred gifts. 4. Commitment – to one another, marriage. 5. Fusion – Two become one. 1. Attraction – What attracts you to the person of Jesus Christ? Is it the same attraction every Sunday? There is another aspect of attraction isn’t it? You may start with one level of attraction but as you continue on in the Eucharistic Celebration every Sunday this attraction should grow to be a different attraction; or after every three to four Sundays you have yet another different attraction. Now why does the attraction change? Or rather should it change? As your life changes, your life situation changes, your life experiences changes, through these change you will see Jesus in a different light because during the week he has said something to you or done something to you or for you. A lot of people do not experience the fullness of the Eucharistic Celebration because of this first part. Because either they do not have the attraction, lost the attraction or the celebration has become routine. 2. Communication Exchange – Refers to the Liturgy of the Word. The stories of God’s Love for us, from the Old Testament to the New. If you do have the attraction as mentioned above then you might not hear the Word or if you do then not in its entirety or experience how the Word is reaching out to us. You are not dwelling on the story which is the Word of God. 3. 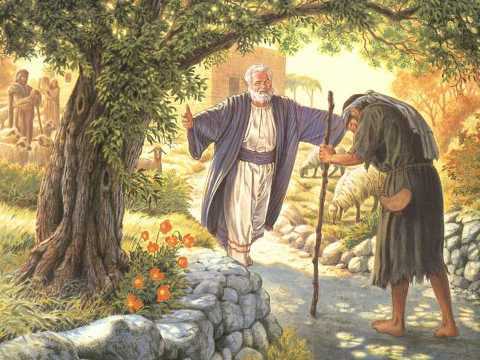 Exchange of Gifts** – During the offertory, what are the gifts you are exchanging with Jesus? At the offertory are you just watching the offertory couple? If you are just watching the couple then there is no exchange of gifts. With the bread and wine we are bringing our gifts. So what gifts will you bringing to Jesus? The gifts of Abel or the gifts of Cain? If you offer up your sorrows, woes, sacrifices, pain, are these your gifts to Jesus? When you give a gift to your loved one, do you not spend time in choosing the right gift? A gift that he/she would like? Do we not take much effort in preparing the gift? We should spend just as much time and effort in deciding what gifts we want to bring to Jesus through the offertory couple. If there is no exchange of gifts here at this stage then it is hard to go to the next level. You must prepare your gifts** ahead of the Celebration. 4. Commitment – Would you marry a man or woman who will often tell you that he/she loves you but does not spend enough time with you let alone quality time? Are you one that tells Jesus “I love you, I love you, I love you Jesus.” But do not spend time with Him? Is your love from the heart? Or the love from the heart which beats strong in the beginning but flat lines over time? If we follow all the above stages with great love and preparation only then will it lead us to the last stage below. 5. Fusion – When we receive Jesus at this stage we become one with him. You will hear him speaking to you and you will feel him giving to you in total communion. You experience total oneness with him. Look closely now at theses stage of Love, it happens at every Eucharistic Celebration. Our challenge, our task is to constantly be aware. The Celebration of the Eucharist, the partaking in the Eucharist cannot make sense if there is no personal prayer. Personal prayer taken in the context of the Eucharist is you making a commitment to love Jesus and your neighbour. You are in union with him and with the community. You must therefore have this Love encounter all of the time. **” At this Celebration of the Eucharist Jesus, I am going to offer to you ________example. My time in reading God’s Word instead of watching TV” or to be _______ example- gentle and kind. *** Justice is an expression of Love.